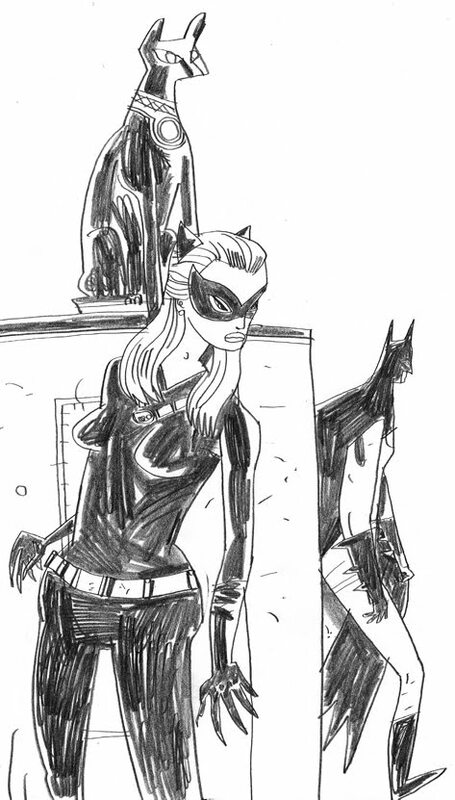 W J C: Quick Catwoman hiding from Batman sketch. After a day drawing wrestlers and prompted by a Bat commission i've done this was a quick finale before picking the kids up from school. To WJC, Thanks for Everything! - Julie Newmar. amazing blog- love your regular posts. Serious inspiration~! Ha awesome, I saw the post before you added the colored version and wondered what it would look like if you'd colored it... And now I know! I love how Batman is just casually walking! I love you style! You chaps are ALL ace, thank you! WOW Warwick. I've such a Catwoman fetish, I was born '62 so was the right age for Batman and herself to be indelibly etched onto my psyche. I'm not sure whom I prefer Julie Newmar or Lee Merriwether (I was never confused!) An awesome pic. How much for the pencils? Funnily enough my buddy Andy Allan's dad Elkan, scripted the 60's tv episodes when the caped crusader came to jolly old blighty. His dad also created the show READY, STEADY, GO! The first real music show on telly. This is SO brilliant, Warwick. I am a fan of the Julie Newmar Catwoman version located in Montreal. 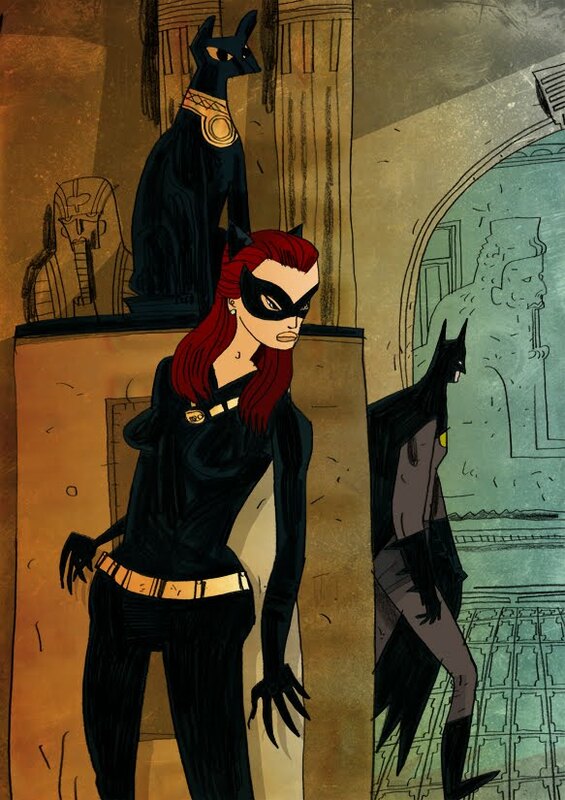 I would like to re-build or re-create the Catwoman's cave or dungeon as on the Batman TV show of the 60s. My idea is to gather as much information from the episodes where Julie Newmar appears and replicate the throne, bed, tools, whips, accessories as per the tv show. If anyone is interested in helping me with this project, please contact me directly at catwomanjulienewmarfan@gmail.com or if you know someone who might be interested.